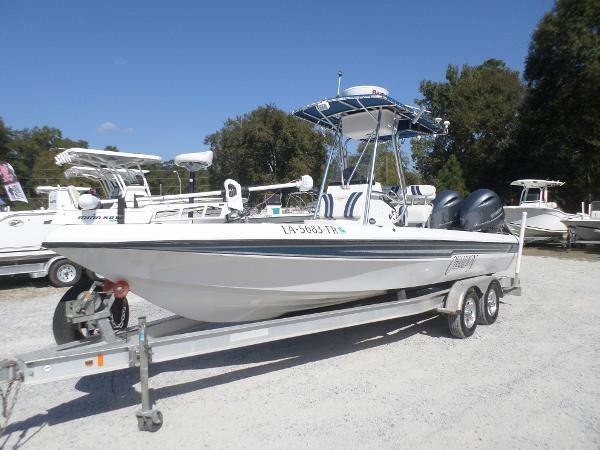 2007 Champion 24 Bay Champ 2007 24' Champion with 2016 Twin Yamaha F150's with Warranty until June 21, 2019, T-Top, Radio Box, Minn Kota 36 Volt Trolling Motor, Battery Charger, 8' Power Pole, Icom VHF Radio, New in 2012- Raymarine E90W GPS, FF, Chartplotter, Radar, with Sirius Weather/ Radio, AIS which shows targets on the Radar, Fusion Stereo, Bow Seat, Rear Jump Seats, Lenco Trim Tabs, and Magic Tilt Tandem Alumn Trailer with New Tires. Excellent Condition. 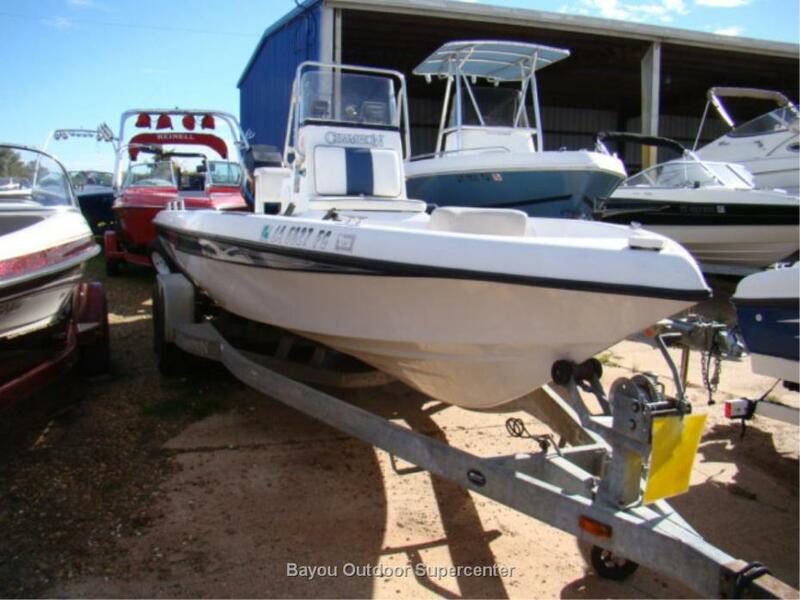 2007 Champion 24 Bay Champ SALE PENDING - The 24 Bay Champ is one of the finest riding and superior handling bay boats in the industry. It also offers more storage and added comfort than anything in its class. Its angler designed features include an extra-large bow fish box with drain, anchor locker, and 2 massive storage lockers with sealed and lockable lids. 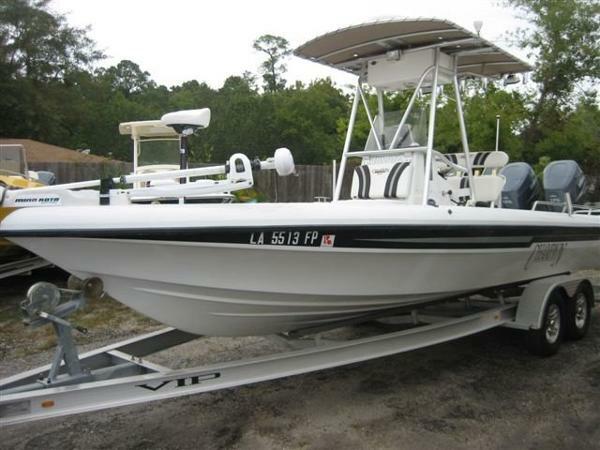 Fishing features include front and rear seat bases, integrated tackle storage, 8 console mounted rocket launchers, two separate 23-gallon aerated baitwells and raw-water wash down. The handsome console with built-in front seat and backrest is designed for superior comfort and control with smooth Sea Star steering, stainless wheel with knob, anti-fog gauges, removable windshield with fold-down handrail and leaning post with 4 rocket 350 horse power capacity, this rig delivers outstanding performance. VERY SPECIAL BOAT POWERED BY TWIN YAMAHA 175HP HPDI MOTORS TOTAL 230 HOURS, RUNS GREAT. T-TOP, LOADED ELECTRONICS, TROLL MTR 36 VOLT, NO TRAILER. BOAT IS IN GOOD SHAPE AND KEPT IN A COVERED HOIST. 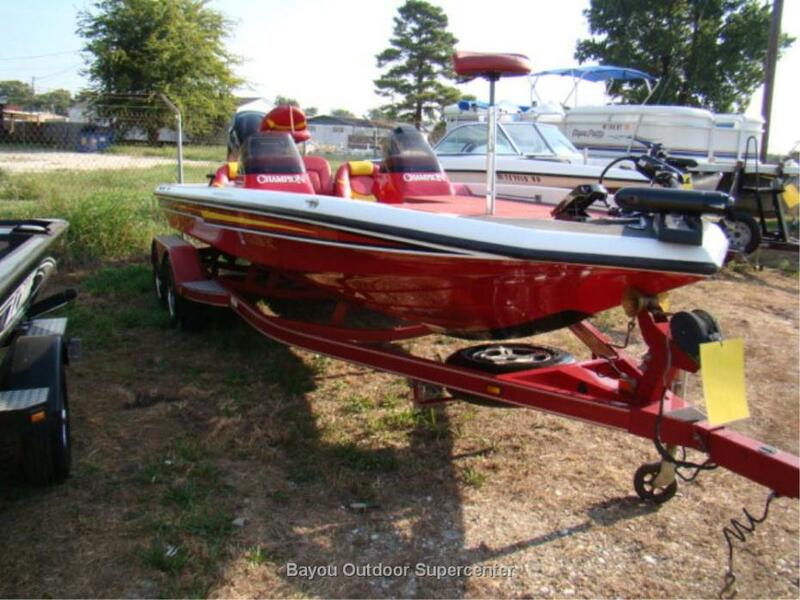 THE BEST RUNNING 24 BAY BOAT EVER BUILT AND PRICED TO MOVE. 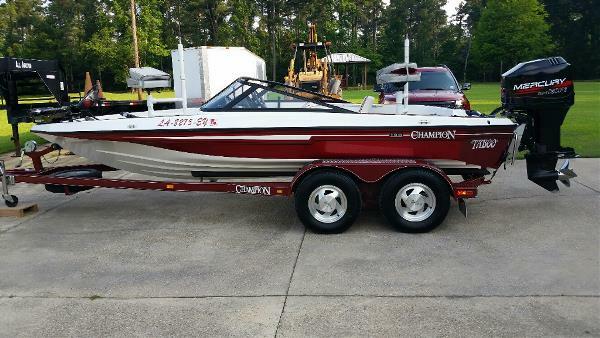 1999 CHAMPION BOATS 190 Lots of extras, new aluminum trailer. Powerpoles not included. - Excellent condition. Garage Kept!